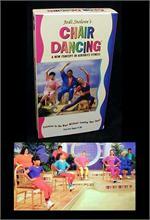 Make Your World Fit You! 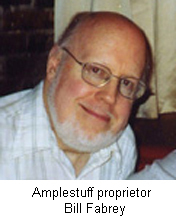 The owner of Amplestuff is William J. Fabrey, an innovator in developing products and programs to improve the lives and self-esteem of large people. Bill is an engineer, and uses his talents to find and/or design the best products for a given problem. Besides the practical solutions he offers through his company, Bill has been a leader in support and advocacy groups for large people, such as the Council on Size & Weight Discrimination (cswd.org), which he helped to co-found in 1991, and the National Association to Advance Fat Acceptance (naafa.org), which he founded in 1969. In addition to his ongoing involvement on the CSWD Board, and membership in NAAFA, in 2008 he became the Membership Chair for ASDAH, the Association for Size Diversity and Health (sizediversityandhealth.org), an international professional organization promoting HAES principles (health at every size). As a small, family-owned company, Amplestuff prides itself on making and supplying top quality products at fair prices and offering outstanding customer service. 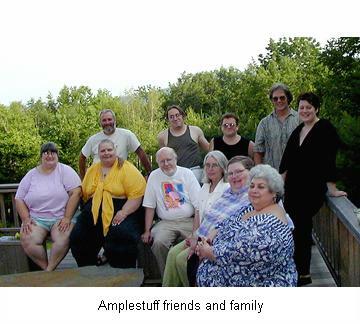 Amplestuff employs people of all sizes and backgrounds. Many of our staff are plus and supersized people themselves who use the products and understand our large-size customers on a direct and personal level. Amplestuff customers know they will get personal attention and good advice. Amplestuff has heard from customers all over the world who have shared their personal stories and expressed their unique needs. Amplestuff listens! 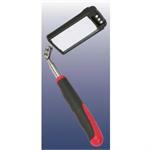 Many products have been added to our catalog as a result of customer suggestions. We welcome your suggestions, comments, and ideas. 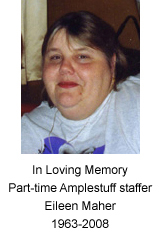 Eileen was a customer who joined the Amplestuff family in 2002 as a part-time bookkeeper, although she spoke with customers from time to time, and she did much of the creative effort on our printed catalog from 2002-2005. Many things that she did for the company survive her, including the bookkeeping program that she helped to set up, and she has been greatly missed by everyone who knew her.